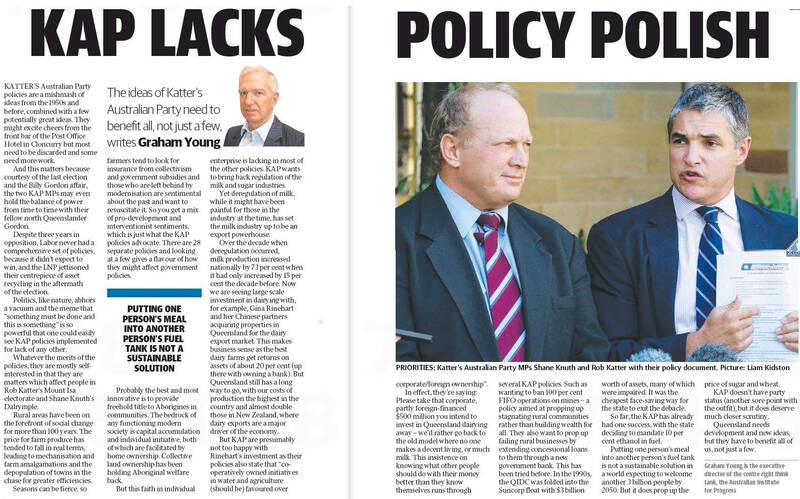 Katter’s Australian Party policies are a mishmash of ideas from the 1950s and before, combined with a few potentially great ideas. They might excite cheers from the front bar of the Post Office Hotel in Cloncurry but most need to be discarded and some need more work. 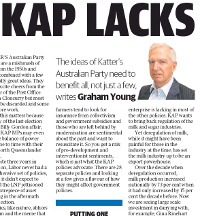 And this matters because courtesy of the last election and the Billy Gordon affair, the two KAP MPs may even hold the balance of power from time to time with their fellow north Queenslander Gordon.